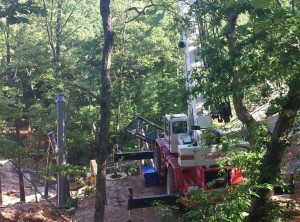 I have been completely forgetting to write official blog updates about the new coaster under construction at Silver Dollar City. If you have been following along with our Facebook Page, I’ve been posting and sharing updates regularly. To nearly everyone’s surprise, track has already shown up and at least one piece is already in position as of this Memorial Day weekend. The coaster will not open until the 2018 season and won’t even be announced until this August. Considering the hype and secrecy that the park is building up with their teaser campaign, we were kind of expecting them to hold off on the track for at least another month or so just to keep us guessing as long as possible. The new track does appear to confirm rumors that Mack is the designer and manufacturer of this ride. That still leaves questions about which exact type of ride system SDC purchased for Mack, whose offerings include extreme spinning coasters, launch coasters, drop coasters, and all kinds of crazy variants and combinations. What we do know is that the park has publicly stated that this is the single largest thing they’ve ever done, and that this ride will be like nothing else. The footprint for this ride is huge, the station is towering, and the elevation changes that they have to work with (or against, if you are the contractor) are massive. The track colors they have picked out are a brilliant combination of grey and forest green that both blend with the scenery and look pretty sleek. 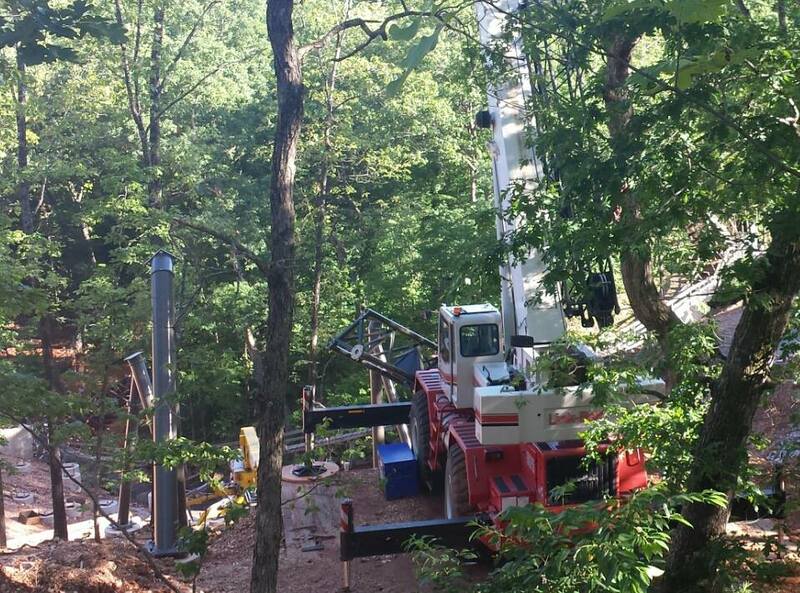 Now we simply have to wait to see what kind of crazy inversions, airtime hills, and/or launch sections will arise out of the tangle of footers spread across the gully. If that isn’t enough, there is re-emerging hope for some seriously incredible theming to be included with this ride. Another fellow SDCFan, Swoosh, has posted a full update with analysis on his site, MidWestInfoGuide.